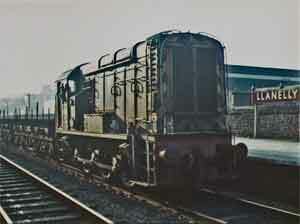 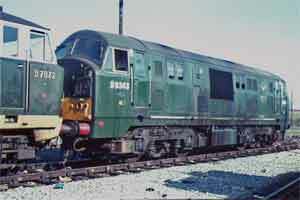 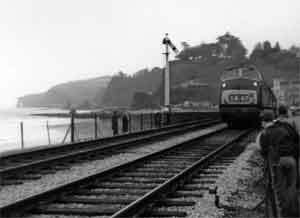 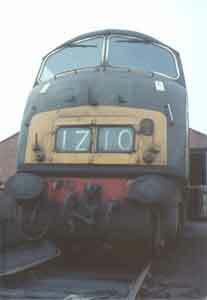 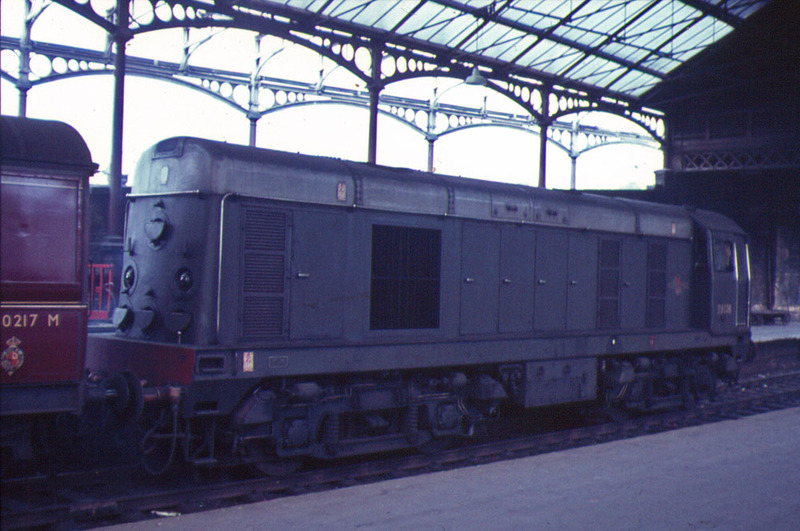 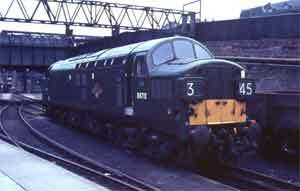 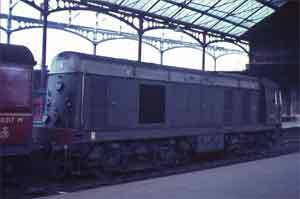 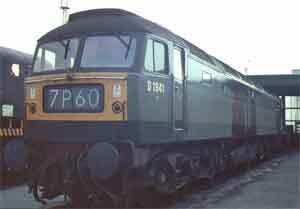 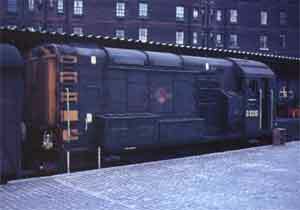 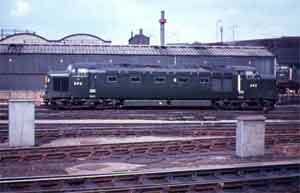 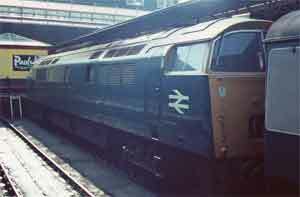 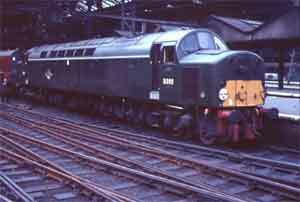 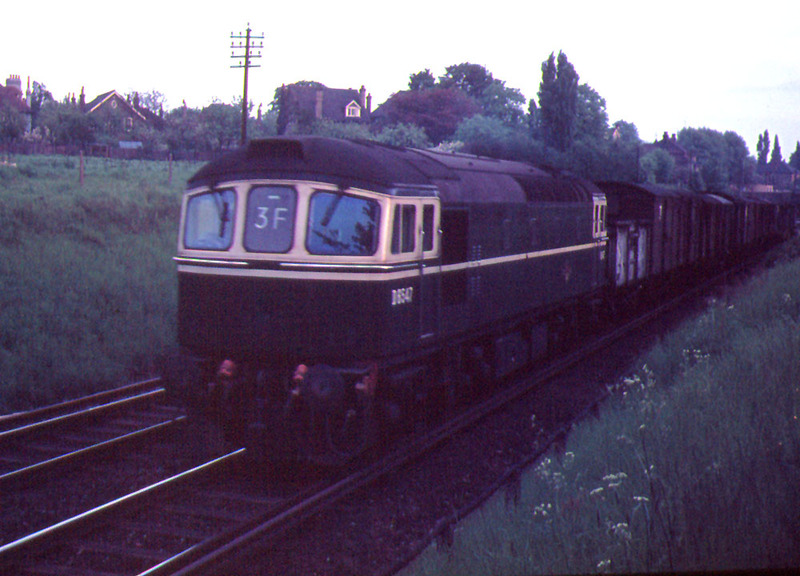 Below are a selection of photos of diesel locomotives taken on at various times during the 1960s. To see a full size version, click on a picture! 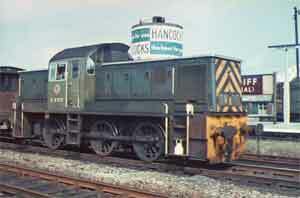 D1.5. 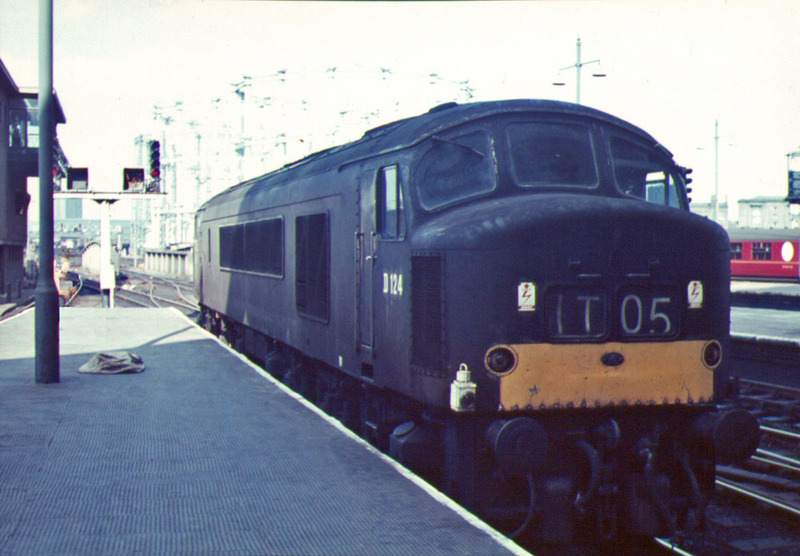 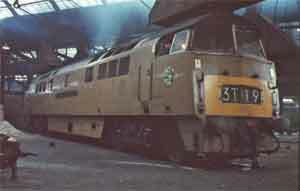 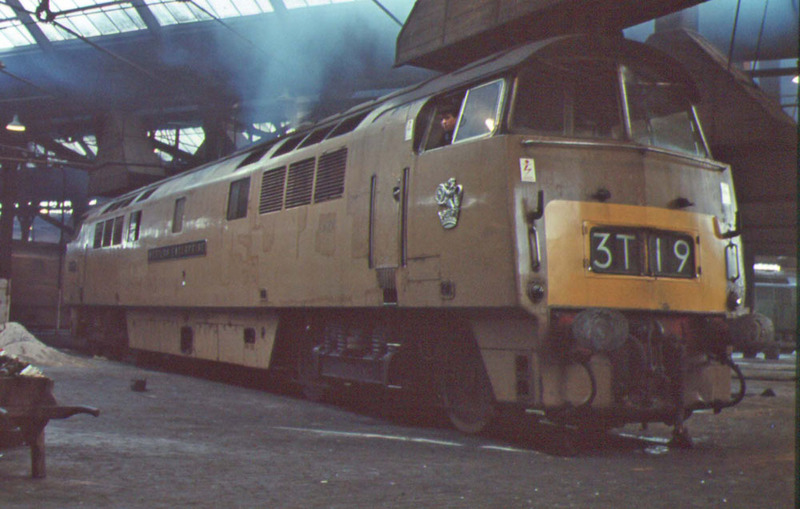 D1000 in "Desert Sand" livery at Old Oak Common - it was only when this picture was developed I realised I had an audience! 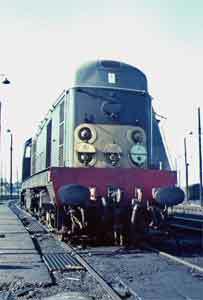 D1.6. 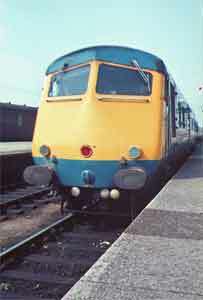 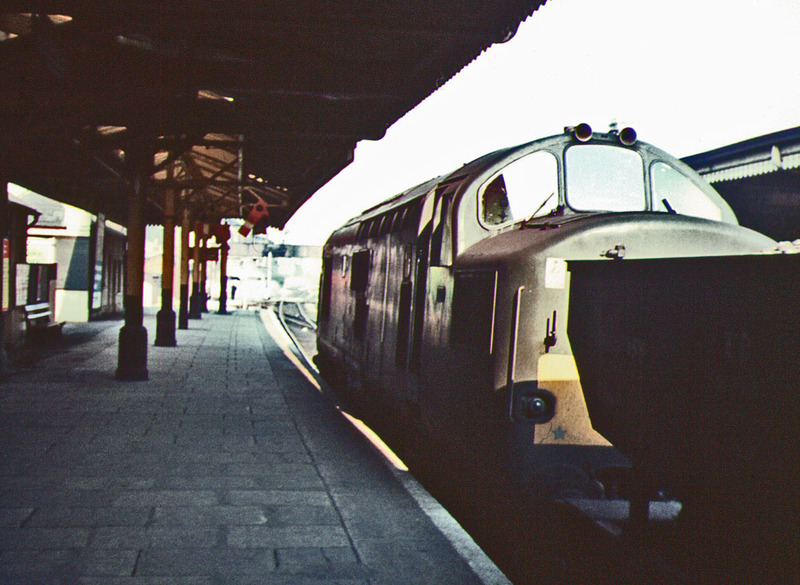 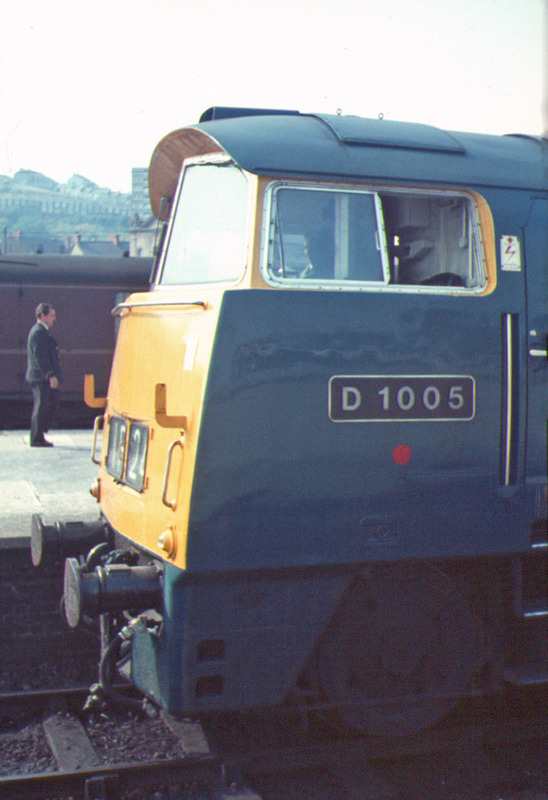 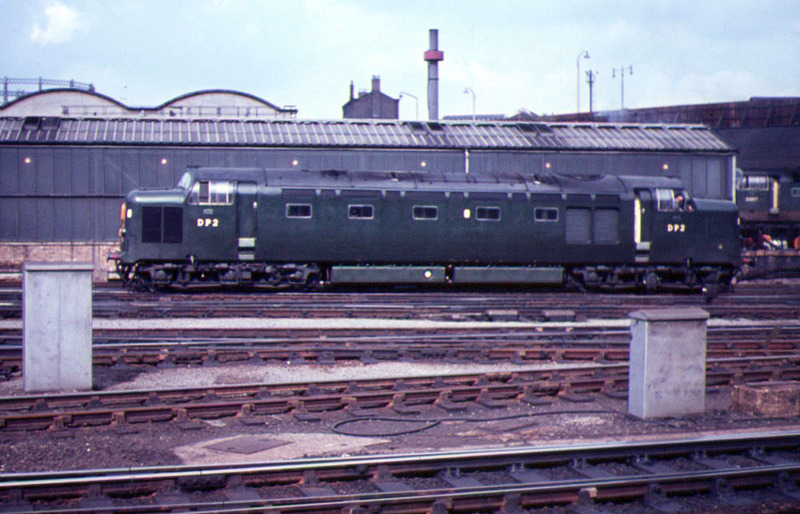 D1005 at Swansea having just arrived from London D1.7. 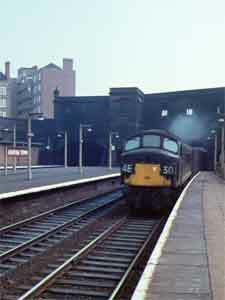 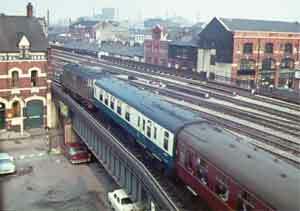 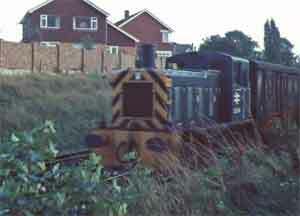 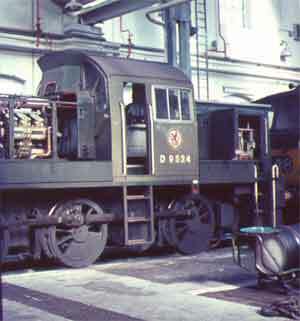 Another view of the same engine departing the station D1.8. 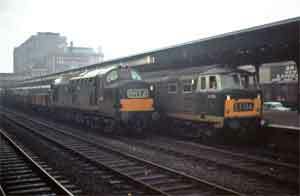 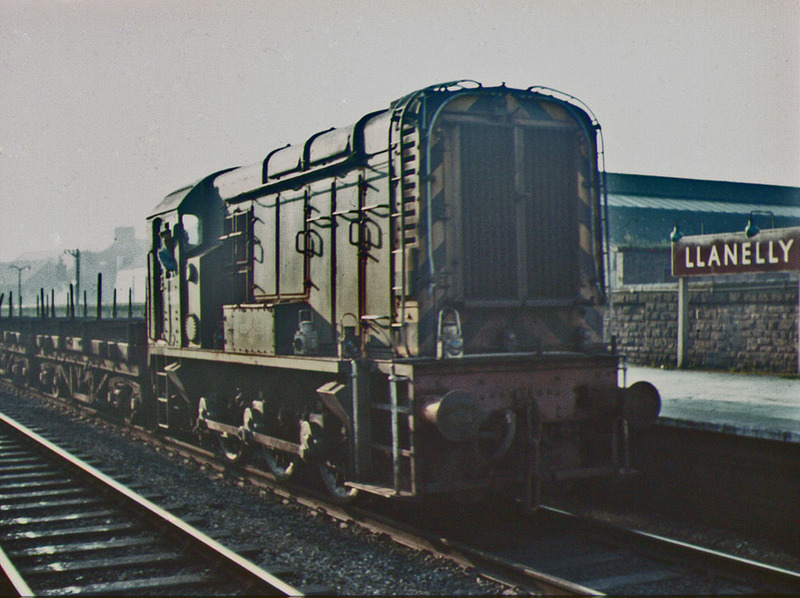 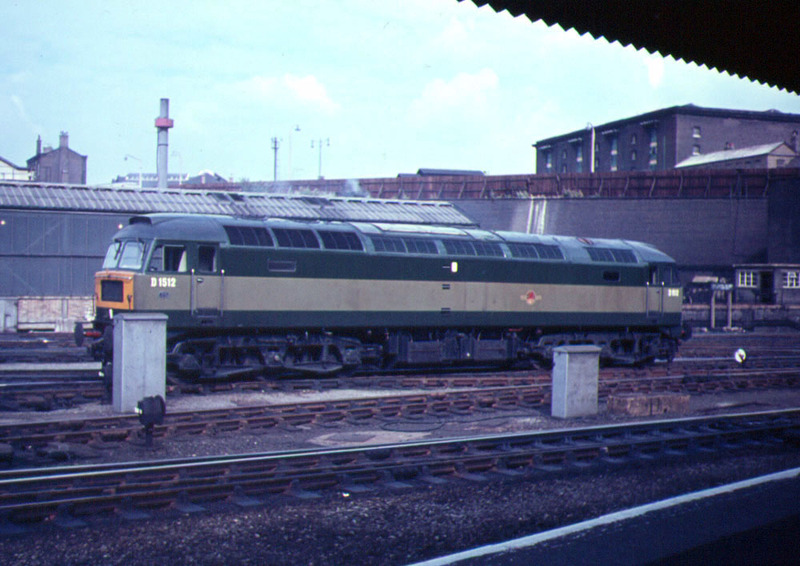 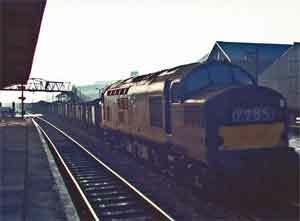 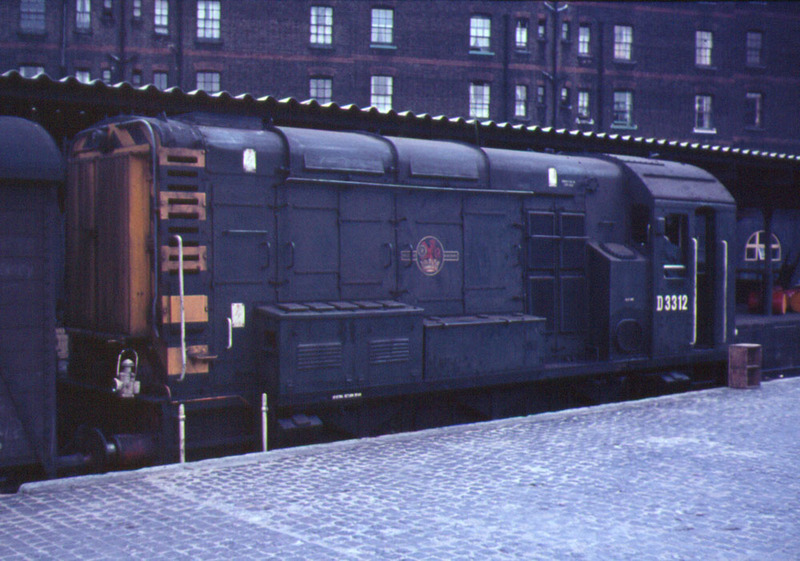 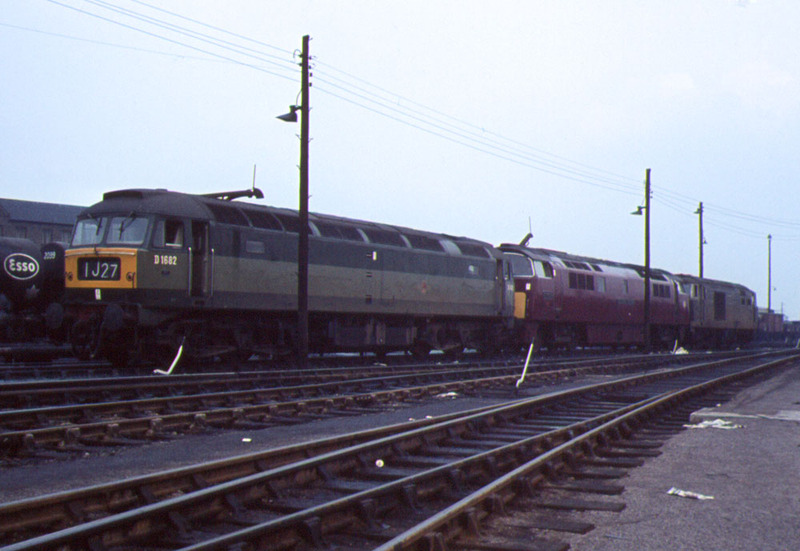 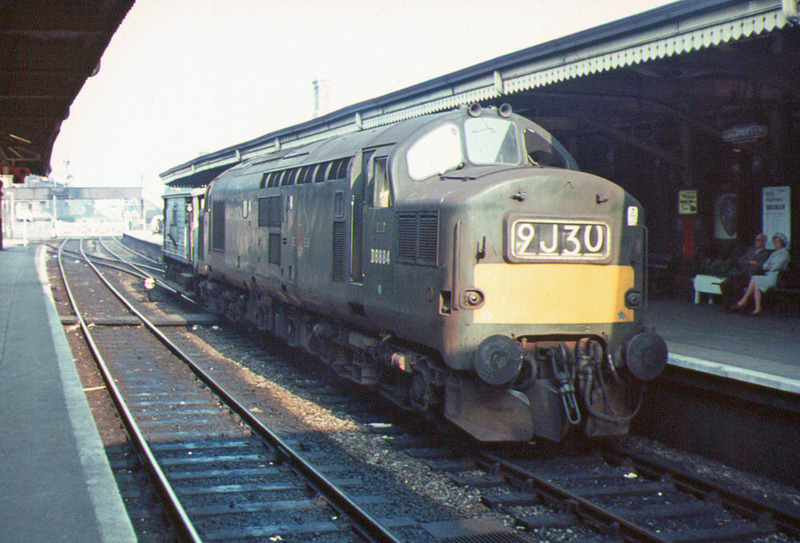 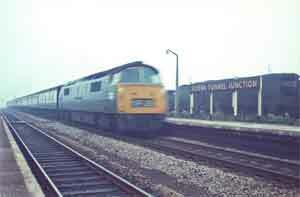 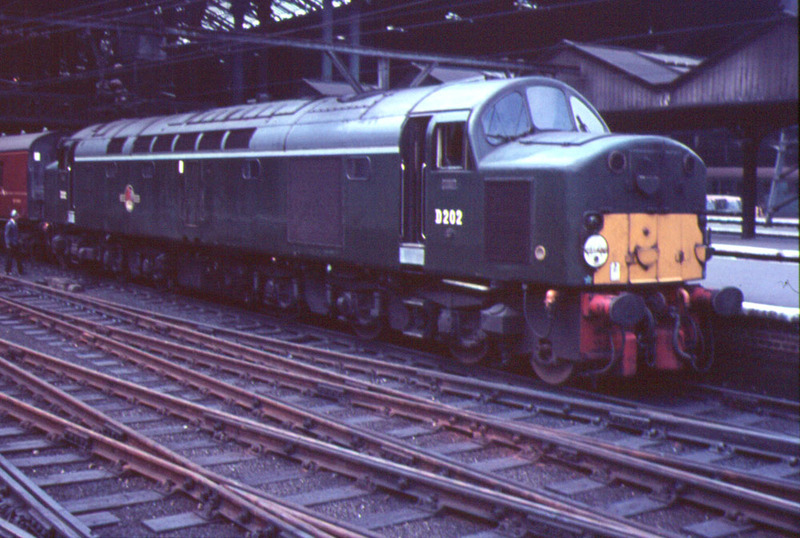 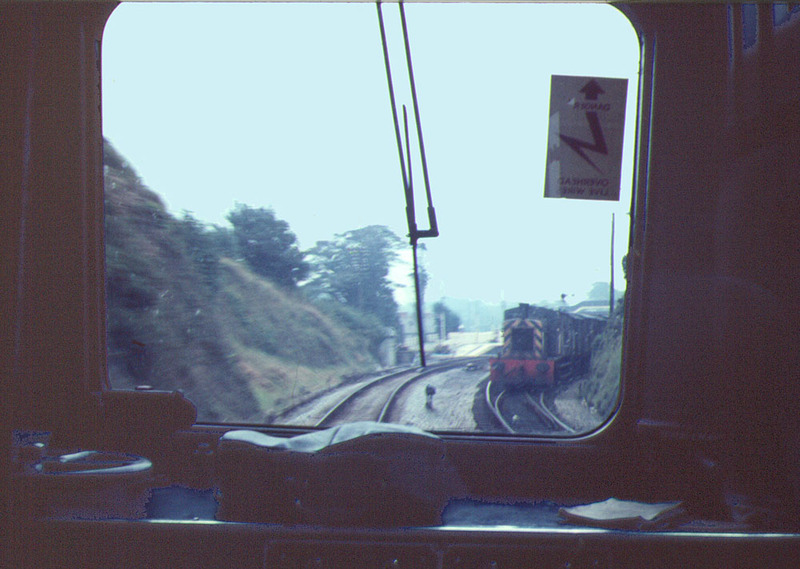 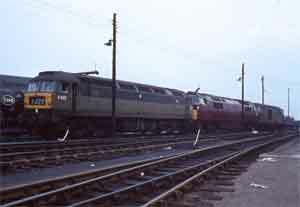 D1021 passes stored steam engines at Severn Tunnel Junction, August 1967. Back to the front page!